Well, Walter’s book on the topic was released a couple of months ago The Italian Army In North Africa: A Poor Fighting Force or Doomed by Circumstance. 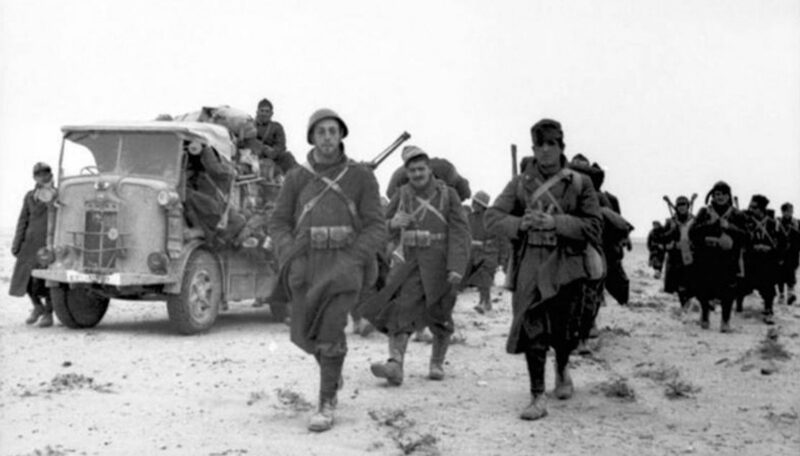 When most people think of the Italian Army in North Africa during the Second World War, they tend to believe that the average Italian soldier offered little resistance to the Allies before surrendering. Many believe the Italian Army, as a whole, performed in a cowardly manner in North Africa. The reth Africa. The reality is not so simple. The question remains as to whether the Italians were really cowards or actually victims of circumstance. While the Italian soldier's commitment to the war was not as great as that of the German soldier, many Italians fought bravely. The Italian Littorio and Ariete Divisions earned Allied admiration at Tobruk, Gazala, and EI Alamein. The Italian Army played a significant role as part of the German Afrika Korps and made up a large portion of the Axis combat power in North Africa during 1941 and 1942. In the interest of determining how the Italian Army earned the reputation that it did, it is necessary to analyze why and how the Italians fought.